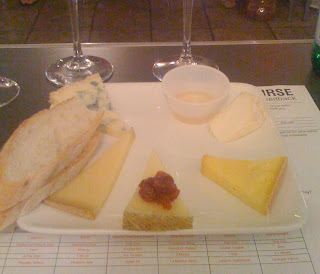 Jaimi and I spent the evening at Murray’s Cheese Shop on Friday for a Cheese 101 class. For 50 bones, you get a big plate of 6 very nice cheeses and all the wine you can drink. And then there were 5 - One cheese is mysteriously missing before class even begins. 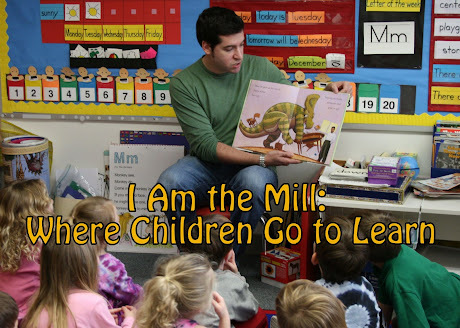 I'll give you a hint: It's in me. So it’s basically a Happy Hour with open wine bar, and some cheese. 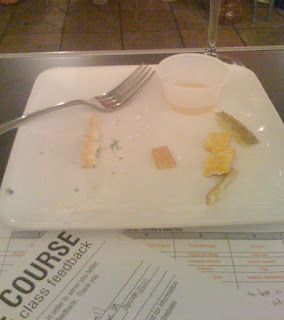 And a cheesemonger instructor – not normally found at your average New York happy hour, in case you didn't know. I’ve always been a big, huge, fat fan of cheese. It’s one of the best foods out there. I like it soft, semi-soft, fresh, aged, hard, semi-hard, moldy, canned, and from a jar. In fact, I don’t trust people who don’t enjoy a nice piece of cheese – much like I don’t trust people who don’t like dogs. I guess if you’re lactose intolerant, you have a good excuse for not eating cheese. This is one of the only forms of intolerance that I can tolerate, and the ONLY legitimate excuse for not eating your cheese. So what did we learn in cheese school? Not really all that much, to tell the truth. But we got to sample several great cheeses that we wouldn’t normally have tried. I already knew that cheese probably originated when some ancient human, transporting milk in an old animal stomach, found that the milk had partly curdled due to the rennet residue left in the dried stomach. It tasted pretty good, and our ancestors eventually figured out how to control the process. I also already knew that unpasteurized cheeses need to be aged at least 60 days in order to be sold in the U.S. (most store-bought cheese is made from pasteurized milk), and that the blue part of bleu cheese comes from magic pixie dust injected into the cheese by tiny invisible elves. What more could we possibly be taught about cheese? For one thing, cheese should always be warmed to room temperature before serving, in order to get the best flavor. And fresh goat milk cheeses are only really available during the summer and fall, due to the animal’s natural reproductive cycle. Did you know that? Also, goat milk picks up flavors from the animals surroundings more than other kinds of milk. For example, if a goat spends time in a lavender field, and its udders brush against the lavender, the milk will taste a bit like lavender. Hard for me to believe, but I guess it could be true. And if that is indeed the case, why not raise goats in fields strewn with piles of freshly cooked bacon, or piles of rich chocolate. Last but not least, Murray’s Cheese Shop does not, and will not, carry any cheeses made from dog, kangaroo, or squirrel milk. Ate all my cheese, like a good boy should. Did someone say cheese? There are no photos of the cheese you and Jaimi brought over as it was mostly consumed. But there's a certain quiet dignity about a sheep's milk posing for a closeup.